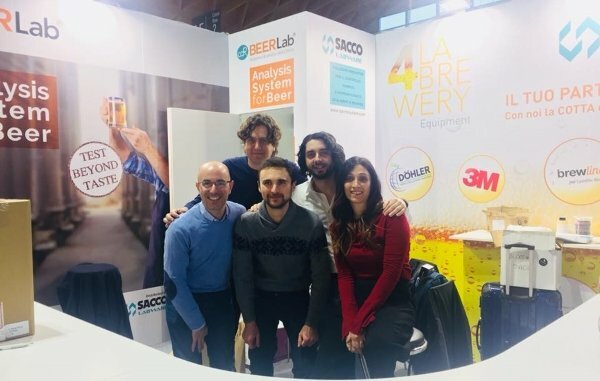 CDR attended to BBTech Expo 2018 that is the international event organized by Italian Exhibition Group and dedicated to specialty and craft beers, technologies and ingredients. The event, scheduled from Saturday 17 to Tuesday 20 February 2018, was dedicated to all the professional operators of the supply chain and took place at the same time of Beer Attraction. The two Exhibitions have been a success. 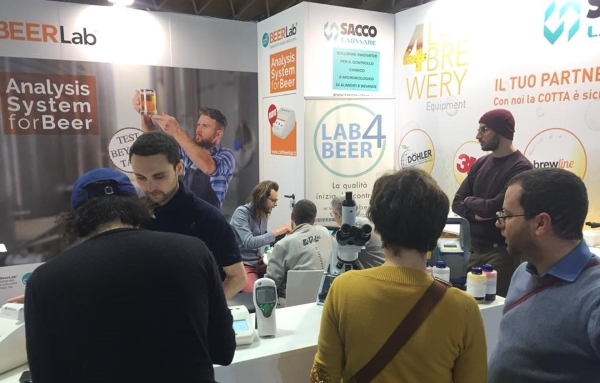 At our stand there was Mr. Nicola Coppe of Lab4Beer, an innovative project with the purpose to increase master brewer’s knowledge and the awarness of the necessity of the control of the beer production process, from the wort to the beer. Simone Bellassai, CDR Food and Beverage chemical analysis Specialist, held the seminar “beer and water analysis directly in your brewery”. Take a look at the slide show. Many people come to visit us at our booth. Excellent feedback from people: CDR BeerLab® is the solution to any analysis needs. This versatile system is specifically devised by CDR to respond to the needs of master brewers and to breweries of all size from small to large enterprises. 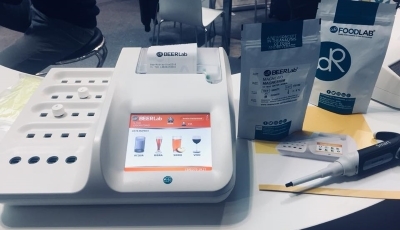 The CDR BeerLab® analysis system allows you to perform a wide range of tests on beer, wort and water with a single device, faster and with ease compared to the traditional methods. The CDR BeerLab® system will be presented in USA at Craft Brewer Conference (CBC) in Nashiville. April 30-May 3, 2018. Final report BBTech Expo – Beer Attraction 2018 was last modified: April 17th, 2018 by CDR s.r.l.